Much like the current Indian fiscal year that started in 2012 and ends in 2013, my cinematic fiscal (assuming cinema viewing generates blissful revenue that feeds the soul) started in 2012 and continues to have its run in 2013. Huge credit for it goes to 2012 year-end Hollywood releases that are yet to see the dawn of day in India, thus prolonging my 2012 cinema viewing experience way into 2013. Blame some of this to procrastination and professional setbacks too. I missed flicks like Argo and Rust & Bone on the big screen and am fast catching up on DVD. Sorry, I missed the bus. What to Expect: Quick reviews and short takes on Argo, The Impossible, Zero Dark Thirty, Rust & Bone and probably more. Like life though, nothing is certain. Wait and watch this space. Sometimes it’s not in the story but in the telling. And Argo scores in that department bang on. 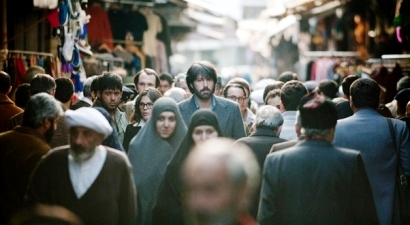 Director, actor Ben Affleck hits bulls eye with a script based on the real life CIA operation to exfil six American diplomats from a crisis torn Iran. Despite being a predictable, oft-told great escape drama what works for Argo are perfect ingredients of tension, atmospherics, setting and, last but the best, witty one liners that take a dig at Hollywood and the system. Politicians and critics will love Argo. The former for not taking any stance on the Iran hostage crisis and keeping it pro-American and government friendly. The latter for symbolically depicting cinema (Hollywood to be precise) as the real savoir. For, without cinema, there would have been no effective modus operandi to save the hostages and by that extension no Argo. p.s: Critics indeed do like Argo more than expected. Even as I did a late review here, it’s lapped up both the most coveted awards—Best Picture and Best Director—at the Golden Globes and Critics Choice. And with 7 Oscar nominations it’s bound to win a couple and maybe Best Picture too. The fuss over The Impossible being exploitative, predictable or prejudiced seems myopic. How can human pain and suffering, irrespective of class, race or divide, be compared or measured. Yes, pain is to each his own; as is love, joy and victory. Very personal. The Impossible is one such personal tale (based on the real life experiences of María Belón) of a family literally and physically torn apart by the devastating Indian Ocean tsunami that hit the South East Asia coast one fine post-Xmas morning. The Impossible is an intimate tale but in no way a selfish one. True, it mostly treads a single-track depicting the tragedy from the Belón’s POV, shying away from the plight of the Thai locals. But that’s another story for another day. On the contrary, The Impossible does credit the locals for being helpful, humane people and doesn’t shy away from taking a dig at the foreigners (or tourists) who refuse to help their brethren. Let’s assume for a moment, that the movie did depict the plight of the locals. The critics would still term it “exploitative” for using the locals to evoke artificial sympathy. Either ways, critics will damn you—if you do or don’t. This movie is ample proof that reality is more cinematic than cinema. The Belón family of five did survive the tragedy, the impossible happened and hence the title. All justified. But dear director, cinema does give one the liberty to tweak the narrative, add a dash of suspense and keep the audience guessing. Sadly, none of that happens and mid-way through we know what’s in store. What started as a tale of pain, survival, and mother-son bonding turns into a (like they say for Hindi films) filmy melodramatic finale. Naomi Watts, an actor I’ve adored over the years for her timeless beauty and stirring performances, made me love her yet again. Albeit, on a different vein this time—that of a selfless motherly figure. So much so that the personal take away for me was the universal bond between mother and child. A mother who, despite her suffering, overcomes her survival instinct to plunge herself against rough waves to save her son. And then again to save another unknown child even if it’s the last thing she does. For mothers, all children, even if not their own, form the basis of their existence. Even Mother Nature can be cruel drowning millions with her fury but never the mother of child. Tags: Argo, Ben Affleck, indian ocean, Iran hostage crisis, maria belon, Naomi Watts, Review, The Impossible, tsunami. Bookmark the permalink. Couldn’t agree with you more. And that’s all it is…fuss. There’s been lot of negative publicity about The Impossible here too. I agree that it’s not as great a movie it could’ve been but calling it “exploitative” was taking it too far. Glad we are on the same page. I think some people look for a reason’s not to like things,all I know is I was moved to level of a emotion a movie has failed to take me to for years,this can only be a good thing.